A private torrent tracker will also use cryptocurrency miners. In a different way though. 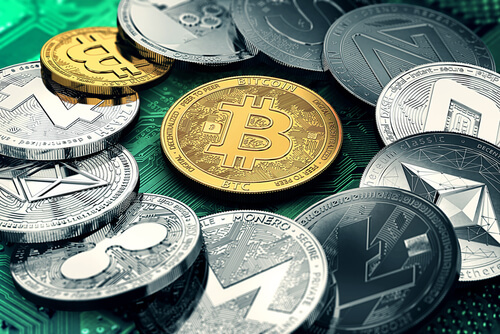 Pirate sites are not thinking twice about using cryptocurrency miners on their sites. In fact, the whole phenomena of cryptocurrency mining has made the headlines because of piracy sites. Now, some private torrent sites have also decided to join the “party”. In other words, some torrent (private) trackers are now in the process of implementing a unique solution to their many, but mainly, economic problems. These private torrent sites will now use cryptocurrency miners to award their users upload credit. To put it another way, users can earn upload credit in return if they generate revenue for these private torrent sites via cryptocurrency miners. For those who don’t know, upload credit is actually a virtual currency on its own. Users can use upload credit to buy more content. The Pirate Bay is the king of the online torrent scene. It has the largest number of torrents on its site and is the number one visited torrent site in the world. Of course, it didn’t just get there by accident. It got to the number one spot by offering the best possible service to online users when compared to other torrent sites. And as the king of the jungle, every other torrent site wants a piece of what The Pirate Bay has got. Right now, The Pirate Bay is showing the torrent community that it has got plenty of plans for using cryptocurrency miners. And ever since TPB (The Pirate Bay) engineers added the state-of-the-art cryptocurrency miner to The Pirate Bay official website, the community allowed the debate over whether one should use cryptocurrency to sizzle away behind the scenes. Readers should also note that The Pirate Bay introduced cryptocurrency miners to its site just last month. And since then we have seen several other torrent sites doing the same. Without going into too many details, the basic premise is simple enough. You have a software, a piece of code, that engineers embed on a given website. This code basically runs on the visitor’s, or user’s, machine. It consumes some of the user’s CPU cycles, in other words. This generates revenue for the given website. Most of the time, you will see torrent sites making use of these cryptocurrency miners in order to pay for their server costs. Of course, all of that is great. For piracy sites that is. In other words, there are lots of voices in the community who do not condone such practices. What’s The Problem With Using Cryptocurrency Miners? If the users are getting what they want (free content) and piracy sites are getting what they want (money) then what is the hiccup? The problem is that of consent. Do take note that not every torrent site is implementing cryptocurrency miners like The Pirate Bay. Some torrent sites do give the users the option to either go with the cryptocurrency miners option or see some good old ads. Moreover, there are also torrent sites who simply give the user the option to participate in the “new feature” or not. But there are torrent sites, like The Pirate Bay, that run the cryptocurrency miner code without asking first. 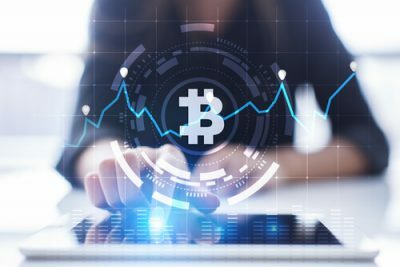 One specific torrent site operator spoke to TorrentFreak about a week ago and told TorrentFreak that torrent sites did not have to ask users to run cryptocurrency miners. Because no one asked the users if they wanted to see low-quality ads before either. So why should torrent sites start doing that when trying to implement cryptocurrency miners? Private torrent trackers will reward users for their “hard work”. With or without consent. Torrent sites may have point that they don’t need permission from users to mine them. Nonetheless, that still doesn’t make cryptocurrency miners any less controversial. The thing this, the whole torrent community including users who visit torrent sites don’t know what they want. Or what they don’t find. You’ll have to work very hard to find online users that will agree or disagree with cryptocurrency miners convincingly. But the one thing the majority of online users would definitely agree on is consent. In fact, all online users would want torrent sites to first seek consent wherever they could manage it. And perhaps we should expect that. Whenever someone works hard and comes up with a new method of doing old things, that is innovation, in order to solve an existing problem, people started to notice. About a week ago, we also saw a user who posted a genuine screenshot of a private tracker that a ton of people use on a daily basis. Following The Pirate Bay lead, this private torrent tracker also implemented the cryptocurrency miner solution to make money. Of course, the private torrent tracker didn’t do anything wrong there since a lot of other torrent trackers have done the same as well. The only difference between this private torrent tracker and others is that this one gave the user a little something back as well. Technically speaking, it is still cryptocurrency mining. But this private torrent tracker does it with a twist. The first thing you would notice about this torrent tracker is that it has implemented the cryptocurrency miner a bit differently than others. In other words, the user has the control of whether he/she wants to make the decision of enabling mining. It is the user who will make the final call. 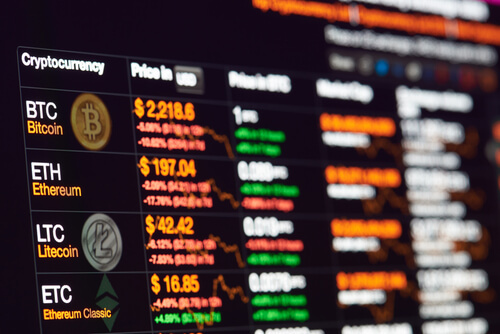 There are clear buttons to stop or start cryptocurrency mining. If you go back just a bit and open up that Reddit link (here) you would see that the private torrent tracker also has other supplementary user controls. For example, users can select the number of CPU thread he/she wants to commit to cryptocurrency mining. Moreover, there are also options for the user to set aside a utilization percentage for each of those CPU threads. There is no doubt about the fact that we are still witnessing the early days of cryptocurrency mining. And if things continue to go down the path they have gone till now, we think that the deal may, one day, become fair. But Things Are More Interesting Than They Seem At First. Alternative currencies are increasingly becoming traceable. Hence private torrent trackers have turned to other ways of generating new money. Torrent sites will come up with newer ways of generating more revenue or showing less crappy ads to online users. But the private torrent tracker we have linked to above has put its own twist on cryptocurrency mining. To put it another way, this private torrent tracker mixes the currency mining phenomena with upload credit. Think of it as a commodity. Most, if not all, private torrent trackers use it. And without upload credit, these private torrent trackers block users from downloading any of their content. So if a user wants to download something, first the user has to make sure that he/she has acquired the right amount of upload credit. The user to give something back to the community before the user can take something from it. That is not how things work on The Pirate Bay. But it is the way private torrent trackers of all sorts work and will continue to work. Online users use software applications such as BitTorrent clients to download stuff. When they do say, they also (at the same time) upload content to other users in the network as well. The whole idea rests on the fact that if a user has downloaded X GBs of data/content, then that user has to, at least, upload the same number of GBs to other network users. This ensures that each user who is present in a given torrent swarm ( a swarm is the total number of users who are sharing things with each other) gets to have a little piece of the action. If a user downloads content, he/she has to make sure other users can download that content at good speeds as well. Private torrent trackers work a bit differently from the likes of The Pirate Bay and/or late KickassTorrents. On private torrent trackers, site operators keep a track of the amount of free content that users upload and download on the site. They document and monitor almost everything that happens on their private torrent tracker site. So for example, if a user has managed to download 1 TB of content and has uploaded 2 TB of content, then the user can further download no more than 1 TB of content. Therefore, the user in question has 1TB of credit. After the user has downloaded another 1 TB of content, then the user would go into a deficit again. This “deficit” position is a very undesirable state to be in when on a private torrent tracker. So What Should Users Do If They Want To Get More Credit? Well, if users want to earn more upload credit, all they have to do is upload more content. But there are a lot of users who find it hard to do that. Well, they have their reasons. Some just don’t like the way the current tracker economy works. Other users simply do not have the required resources to equal out their upload and download. If a user can’t equal out his/her upload and download then some private torrent trackers have a unique solution for them. These “deficit” users can donate real money in order to receive a bit of upload credit. Let’s go back to the private torrent tracker that we linked to before. 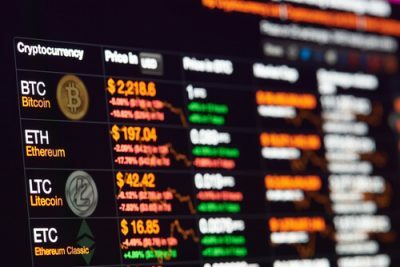 The private torrent tracker in question makes it possible for users to trade in the required amount of upload with cryptocurrency mining effort. In other words, they don’t have to pay real money. They can remove their deficit over a period of time via virtual means. The simple fact is that just like with everything else in the virtual world, private torrent tracking community has its fair share of politics. Or more specifically, some online users strictly hold the opinion that cryptocurrency mining is another term for cash grab opportunity. Let’s leave that aside for a moment or two. If we are talking from a technical perspective, then the prospect of using cryptocurrency miners to make up for upload deficit is an interesting one. After All, the existing private torrent tracking system does something similar. It allows users to actually mine genuine upload credits. By giving up some of their bandwidth to other community users who use the same private torrent tracker. The only difference is that now users have the unique opportunity to mine a real cryptocurrency directly on the private torrent tracker. 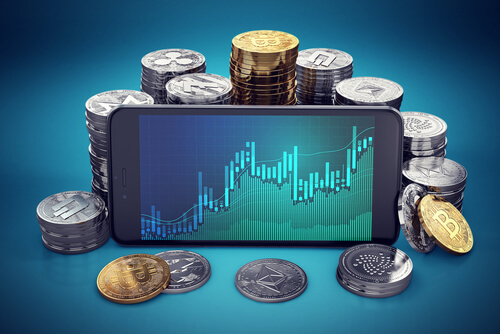 Moreover, users can then convert some of that cryptocurrency into the private torrent tracker’s local currency. Or upload credit, as we have mentioned before as well. Do keep in mind that the “upload credit” only works within the bounds of the mentioned private torrent tracker. It isn’t a virtual currency in the general sense of the word. If users want to use some of their upload credit, they can only do so within the site. All the while, the people working on the private torrent tracker can use the extra bucks from cryptocurrency mining to maintain their site. There are many other examples of how such a system would work. As mentioned before, the people working behind most private torrent trackers are ambitious and clever. They are always coming up with newer ways of implementing cryptocurrency miners. The speed of innovation here isn’t quite like in Silicon Valley but it isn’t far off relatively speaking. A member who belonged to another private torrent tracker posted this on Reddit. This second private torrent tracker doesn’t carry out cryptocurrency mining as the first private torrent tracker did. In other words, we aren’t clear whether the private torrent tracker is forcing users to use cryptocurrency mining or whether the site has made it optional. What we can say is that the private torrent tracker seems to have done enough to ensure transparency in order to benefit the end user. This second private torrent trackers publicly displays the total number of online users who are mining. It also keeps a running list of hashes solved per second. Additionally, this second private torrent tracker also publishes a list of Top 10 users who have mined the most at any given time. It also publishes the list of all time “greatest” miners. These are things that not everyone would appreciate. Some users would simply not agree with the entire concept of private torrent trackers using their online users to mine, to begin with. But speaking from a psychological standpoint, this private torrent tracker makes sure that users have some motivation to mine for the site. In other words, they want recognition. Many online users want their peers to recognize them on the many private torrent tracker websites. They want other online users to know how much they have contributed to any given platform. If a private torrent tracker uses charts to show all users the status of each user within a community, then that can act as a great motivator. At least for people who care about cryptocurrency rankings. Of course, private torrent trackers have long used other top 10 lists. Such as, top 10 list of content uploaders. The new addition of Top 10 miners will certainly add a bit of spice to the torrent scene.